Lovers of typography and bold colour will certainly adore these gorgeous personalised posters for babies and children… well that’s who they’re primarily aimed at, but I don’t see why I can’t order one for myself! 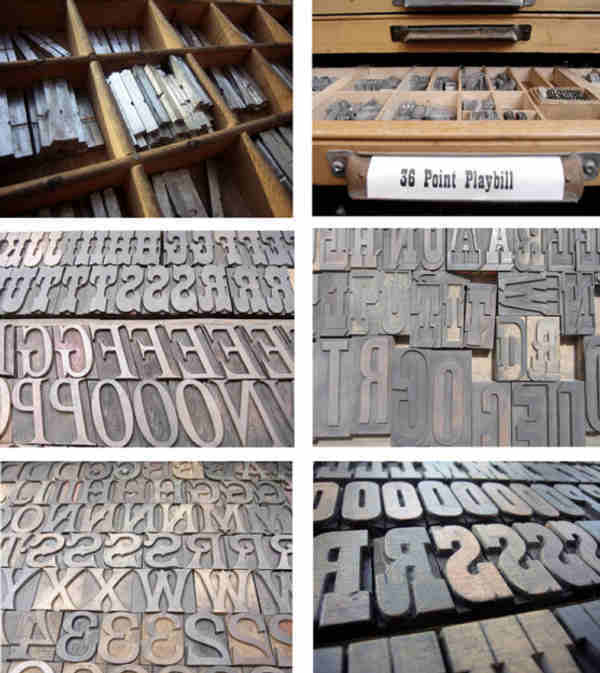 Molly-Meg has commissioned London designer Stephen Kenny, with his large collection of wooden letterpress letters in many fonts, to custom-make the birthday posters. 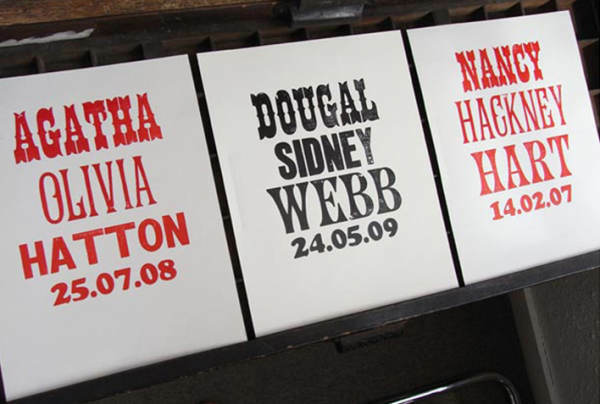 The length of your child’s name will determine the fonts used – all you have to do is choose black or red ink and a lovely surprise will greet you in the mail. I adore the slight element of surprise, not knowing quite how it will look in the end! I think they are reminiscent of old Vaudeville and circus posters – the fonts are just so appealing. Each poster is £32.50 including postage and packaging from Molly-Meg, whose fabulous Twentieth-Century chairs we have featured before. If you’re as nuts about our wonderful alphabet as we are at Babyology, perhaps you’d like to read about other alphabet-related products we’ve featured!